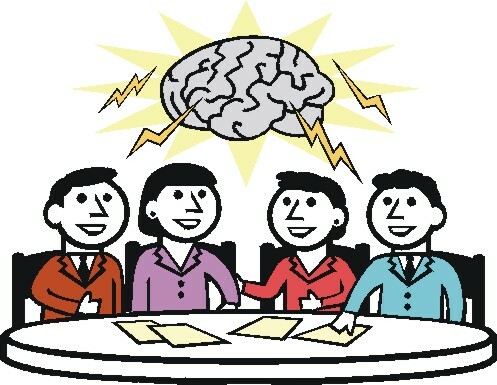 It was an unusual Board of Directors meeting in that no old or new business was conducted. The meeting was dominated by reports and public comments. About 30 members were in attendance in the main meeting/dining room of the Community Center. All board members and interim GM Judy Kennedy were present. It was called to order by President Al Leslie shortly after 9:30 and following the standard Pledge of Allegiance to the Flag the minutes of the March 22nd meeting were approved without correction. President’s Report: President Al Leslie opened on a very sad note extending his and the board’s condolences to former Board President Jerry Viola whose son was tragically killed in a Florida traffic accident the previous day. Murmurs of agreement rippled through the crowd, many of whom were unaware of the sad event. Leslie went on to report that the ad hoc GM search committee had completed its work and that a decision on a new, permanent GM would be announced at the May Open Meeting. Treasurer’s Report: Treasurer Earl Frank gave his report based on the first eleven months of fiscal year 2013/2014. He said that revenue of $1.754 million exceeds our budget by $44K. This is primarily due to an increase over budgeted amounts in the areas of various fees, resale certificates, permits, code and public safety citations of $52K. We also were awarded $6,800 from our insurance company on the damage – due to snow – to the Ford truck. These positive variances are partially offset by operational costs of $18,000 (net, ytd) of the bar & grill. Dues collected so far this year of $1.381 M surpass last year’s 11 month total by $16K. In addition, our attorney had collected $178K on delinquent dues compared to $130K for the entire 12 months. With a month to go, at our current rate we will collect approximately $195K for the year, an increase of 50%. Total operating expenses, excluding depreciation, are $1,590M, under budget by $108K. Projecting operating expenses for the balance of the year, we should underrun our annual budget by $125K, or 7%. Members are cautioned to keep in mind, said Frank, that even though our revenue slightly exceeds our budget and our expenses are under budget, this is being done to maintain a positive cash flow, while we struggle to keep our community maintenance on track and our amenities from further deterioration. Many of our members have made it known that they wish our amenities to be open and available for longer periods. Our maintenance department needs better equipment, vehicles and machines in better repair. In many cases we need upgraded equipment. We have major projects ahead that we should be addressing, such as the Pine Tree Lake dam valve, community center equipment and structure and much more. This will be impossible to do within our current dues assessment. We are living on reduced services and deferred maintenance. The Finance and Planning Committee has recommended to the board that we increase the annual dues by $100 per year. Finally, the board has selected a new auditor to perform our annual year-end audit, Riley & Co. of Stroudsburg. This is order to give us a fresh look at our records. If any more detailed financial information is required, contact the office or stop by in person. Manager’s Report: Interim GM Judy Kennedy delivered the manager’s report. She said that the Paylease charge system for dues payment was being well-received. They are updating and enlarging the email blast package to reach as many members with as much up-to-date information as possible. She said that some homeowners have redirected drainage and that they are being contacted to correct and refrain from doing this. She went on to say that our insurance package has been updated to eliminate unnecessary coverage and increase coverage where appropriate. The Annual Meeting has been set at Pocono Mountain West High School on Saturday, August 16th. Amenities, such as beaches and the outdoor pool are being prepared for the summer season. A camera system is being considered for wider and longer period coverage. Ms. Kennedy closed by explaining that last week’s indoor pool closing was due to a pump glitch that has been corrected. She apologized for any inconvenience caused. Old Business/New Business: As stated in the first paragraph, no old or new business was conducted. Nominating Committee: Committee Chairperson Cookie Lietwinski said that the committee is currently seeking candidates to run for the Emerald Lakes Board of Directors at the August 16th Annual Meeting. There will be three directorships contested. Anyone interested may sign up at the Admin Office. A candidate must be a member-in-good-standing and sign an agreement to serve for 3 years. Interested parties may also call Ms. Lietwinski @ (570)646-2053. Ad hoc Committee to Revise the Bylaws: Chairperson Buz Whelan asked for clarification on the two committee recommendations. (They are to eliminate Amendment III dealing with unsightly property, properly covered in the Rules and Regulations, and to allow absentee balloting). President Al Leslie said that these are currently being considered by the association attorney. Connie Simpson asked if the pool was being maintained at the proper temperature of 84 degrees. President Leslie stated that this had been changed by board resolution to 82 degrees. Ms. Simpson also inquired about For Sale signs for homes. According to Secretary Carmen Broadnax these are proscribed by our covenants and cannot be overridden by the board. Signs naming a realtor are allowed and can be gotten at the Admin Office. These in actuality provide similar information that the home is on the market. Joan Gregorio inquired as to why lifeguard certification classes were no longer being offered. GM Kennedy said that cost was a factor, that there is little benefit to the association to train and certify lifeguards who can then hire themselves out to the highest bidder. David Pope said that the current reporting of association finances does not give a clear and true picture of our financial situation. He also stated that any request for an increase should be accompanied by detail on how the additional collected funds would be used. In other comments, Mr. Pope said we need to develop long range plans based on real information rather than simply reacting to whoever makes the most noise (author’s characterization). He said that without definitive knowledge of our membership’s makeup, we are merely thrashing about. While last year’s survey did not produce the desired results, Pope suggested a more complete survey could be done by requiring all members to obtain updated ID cards during a designated period. During that office visit, members could be required to fill out an information sheet that would produce the comprehensive demographic information needed. Planning could then be based on our true condition rather than guesswork. Flo Mauri rose to propose that any initiative for absentee or mail-in voting be accompanied by some sort of revenue escalator. She said that it is her belief that dues increases would be very unlikely to be approved if meeting attendance was not required for voting. Bob Leon pointed out that CC manager and chef, Todd W. was told he could no longer give cooking tips during meetings of the Cooking Club. He said club members greatly enjoyed the 15 minute sessions on such things as crepe-making and wanted to know why this was forbidden. GM Judy Kennedy explained that Todd had many duties and his time was already sufficiently burdened. He simply could not satisfactorily complete his duties and perform individual tasks for members as well. Joe Olall asked about the status of the maintenance barn. Ms. Kennedy said that insurance had green-lighted the repair. He also sought clarification on the Bar & Grill costs, and Treasurer Frank restated that there was a net ‘loss’ of $18,000 year-to-date. David Samad read aloud a letter he had written to the board. He said that he owns 2 homes which he rents. 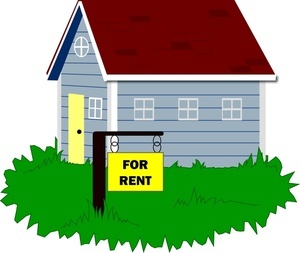 In an exhaustive, detailed report (the letter) he described both the importance of rentals to a community and the legal justification, including case law, that grants him the freedom to act as a landlord. In a separate article to be published here in the next few days, we will print the full text of Mr. Samad’s letter as well as commentary on the rental question.